Great review in popular New York site Babygadget. The extremely popular child adventure site Junibacken now has 3rdHand to offer parents with tired kids, since trolleys are not allowed. 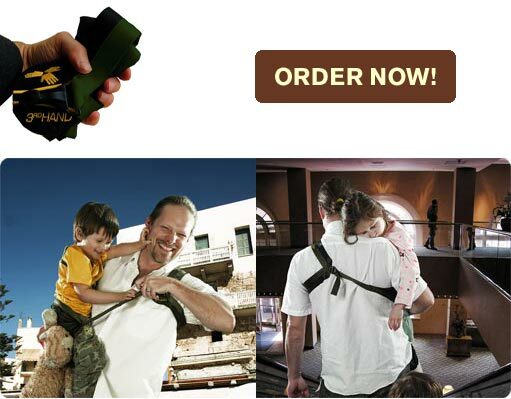 Here is 3rdHand (pat pend) - the worlds smallest aid for carrying children with a steady neck (minimum 1 year old) or other loads up to 20kgs/44pounds. It will lessen the strain on your back and arm, and free your hand.